Located in Jacksonville Beach, Southern Swells is a craft brewery and taproom focused on New-England IPAs, Heavily Fruited Sours, Imperial Stouts and Mixed-Fermentation. 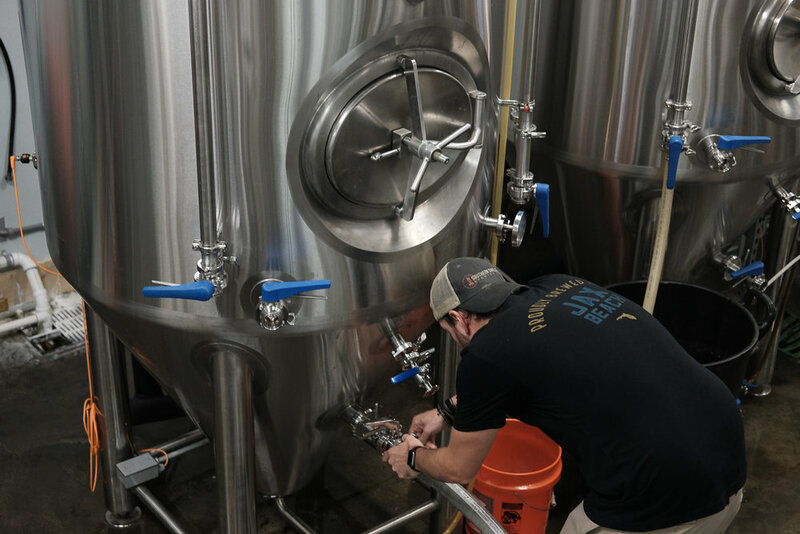 Southern Swells Brewing Co. opened in January 2017 and has been dedicated to consistently producing high quality craft beers while providing an inviting and friendly taproom experience. With over 7500 sq. ft., the brewery and taproom space is vast allowing for groups of all sizes to relax and enjoy our offerings. Our location also features a private events area and an outdoor patio. Our draft list is constantly changing and features an array of styles with a definite focus on soft, hazy, citrus forward IPAs and Double IPAs. Many of which our featured in our can releases, every two to three weeks. Visit our Events Calendar and follow us on social media to view the upcoming releases and other brewery events. Our private events room that features a large farmhouse table that seats 24 but can also be used for larger events where the room is used for catering, gifts, etc. while your guests explore the other areas of the brewery. Please contact us for additional information. Thank you for contacting Southern Swells, our Events Manager Kate will be in touch shortly!